Grocery bills are like mystery novels. The more you read them, more surprises pop out. Blame it on smart marketing gimmicks of super stores. Even we tend to fall for latest flavors, fresh produces, organics. The result: essentials kitchen items are forgotten. We order for home delivery. As the month comes to an end, we don’t know how much we spent on groceries. So how do we figure out how much we spend on groceries in a month? 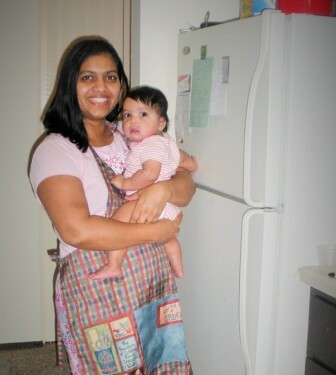 As we discussed this on a mother’s forum, I came across a Gruhini, Priti Fernandes who loves to keep checklists for kitchen, workouts, weekly chores. You name it and she will have a list for it. Thanks to the checklists that she managed to reduce her grocery budgets by 50%. Not to forget the good side effects: Spouse took more interest in cooking and they didn’t spend on unnecessary grocery items. 1. A Pantry List: goes on my refrigerator – which lists the items in my fridge and freezer and snacks on hand with the EXPIRY DATE. In the past, ever so often, we had wastage, because I would forget to cook or use up a certain perishable item which I had on hand or sometimes we would land up having so much of an ingredient because it was out of sight. Putting the expiry date helped a great deal in getting items used up in time or if I wasn’t going to use it, I would pass it on to a neighbor who would. No more wastage and who doesn’t want to be known as a good neighbor. Previous Honey I Shrunk the House Chores!